Joseph entered a competition at his local supermarket and did not expect to win the fifty thousand pound prize. But this time, his luck would change in a way that was beyond his wildest dreams. 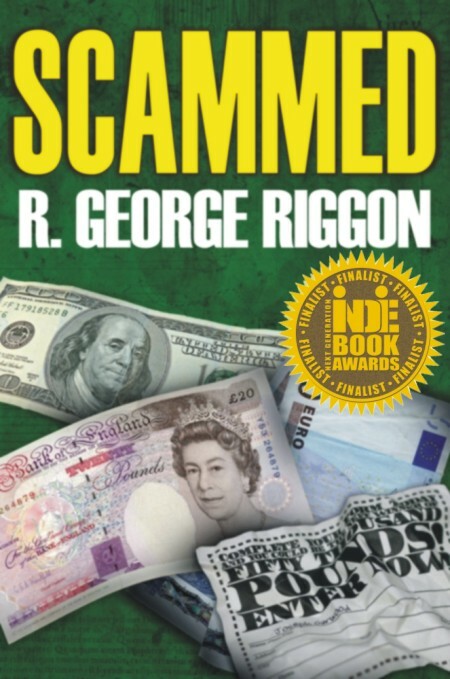 His name had been emailed nearly five thousand miles across the world and ended up in the hands of a skillful scammer. Before he and his family realised what was happening, a much higher price was paid for that long awaited winning cheque. After living and working in England for most of his life R. George Riggon returned to a vibrant and self-assured Jamaica in 2009. The music was energetic and flags were on high parade in honour of the triumphant return of their Beijing Olympians and World Champions. Amidst the sweet jubilation, he entered and won a low-keyed annual Hanover Parish reading competition in western Jamaica under the banner of the Jamaica Library Service. As part of the competition Riggon read some entertaining books each depicting ordinary people doing extraordinary things. It inspired him to pick up his pen and begin writing about some of the experiences that he too had become exposed to. This work of cultural fiction is his first offering.